Second Home Loans At Fixed, Variable Or Split Rates - Learn More! Download our Second Home Buyers Guide! If you have built up equity in your current home and are considering becoming a second home buyer, you have plenty of loan options to make a smooth transition. With Mortgage House experience and flexible loan products on your side, becoming a second home buyer is easier than you think. As a second home buyer, what home loans are right for me? What is your purpose for making a new property purchase? Are your budget and cash flow sufficient to cover all costs? Is it going to be an investment property? What is your preferred loan type and loan structure? How will your equity be used for financial benefit? Your Mortgage House financial expert will explain the relative home loan advantages in easy to understand manner. We have the same purchasing power as Australia’s biggest banks, allowing you to choose a fixed rate, variable rate or another loan option. Our loan incentives and rewards can’t be beaten, including bridging loan products that are perfect for second home buyers. If you have found your perfect second home and are ready to snap it up, but are waiting to sell your current home, a bridging loan is an ideal solution. Bridging loans are interest-only loans, backed by the financial collateral of both your current and future home. It’s worth understanding that you will be paying the interest portion of the two loans until your current home sells, so budgeting will be important. Your Mortgage House home loan expert is always on hand for advice and assistance that will help you purchase your second home for the right price. How do I manage loans to find my next home? Are you considering upgrading to a new home but don’t know where to start? Making the transition from one home to the next doesn’t need to be difficult, and with a plan in place it can be smooth sailing. However, there are quite a few government and service fees that quickly add up, along with short and long-term loan incentives, so understanding how and where to save money is a strategy worth knowing about. As an additional advantage over Australia’s biggest banks, our personalised service means your Mortgage House Loan Manager is always on hand to assist. You can begin your home loan research using our mortgage loan calculator to find out how much you can afford to borrow. Based on your data, we may even be able to arrange pre-approval of your loan plan. The entire process can be carried out online, and we will email you a Pre-Approval Certificate with a loan amount that is valid for three months. 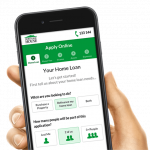 It couldn’t be easier to start house hunting than with Mortgage House. What is the best Australian mortgage loan for my family? Split mortgage loans: A split mortgage loan allows you to divide your home loan into two segments; one part with a fixed interest rate and the other with a variable interest rate. Advantages include the opportunity to pay off a portion of your mortgage sooner, change split percentages for free and access features such as a line of credit. Toggle offset mortgage loans: Similar to a split mortgage loan in many ways, a toggle offset mortgage loan is a system where half your loan is fixed and the other half is variable. Offset accounts are linked to both fixed and variable loan portions, allowing you to toggle between the two accounts to maximise interest savings. Additional repayments can be made on both portions of the loan without attracting additional charges. Portable loans: Most people take out a mortgage for between 20 and 30 years, with a high likelihood of moving house at some stage. Mortgage portability is the solution, allowing you to take the mortgage with you when you move. By having a portable loan, you eliminate mortgage exit fees and stamp duty, saving thousands of dollars. Also, your bank details remain the same and bill payment schedules aren’t interrupted. Interest-only mortgage loans: This can be a great way to make an initial housing investment without breaking the bank. Interest-only mortgage loan periods can last for 10 years or more, with additional cash flow allowing you to improve or renovate your investment in the meantime. As a second home buyer, your eye for a good investment can reap the rewards with an interest-only mortgage loan. Low deposit and low doc options: Mortgage House takes second home buyer plans seriously, including customers with a low deposit and those with minimal documentation. A low deposit loan will help you purchase a home sooner and start creating equity, although higher interest rates and mortgage insurance may be required. Low doc home loans are ideal for self-employed people, small business owners and contractors who can’t access complete financial documentation or statements. Mortgage House financial experts understand all the above scenarios and more, and we are ready to talk to you about your plan to become a second home buyer. We get to know your aspirations and help you achieve your goals. Mortgage House can deliver other loan arrangements based on a solid financial guarantee from your family, and even assist people with bad credit by offering a range of home loan pathways. All loans come with conditions that protect you and your lender, so check out our range of products designed to give everyone a fair chance in the housing market. How do I know if my current home suits my needs? Are you satisfied with your present home or do you hanker for a change? Opting to become a second home buyer has several incentives, including the potential to increase wealth. It’s no secret that Australians often move, sometimes with highly profitable results, so utilising the capital raised in your current home to purchase something better is a sound financial strategy. There is a lot to consider and a lot to do when moving, but with Mortgage House on your side, it can be ‘out of the old and into the new’ faster than you think. Our loan process allows you to take one safe step at a time during the transition, without risking finances, making your second home buyer purchasing decisions a whole lot easier. Another Mortgage House option is a renovation loan that can turn your present dwelling into your dream home. Australians are diverse, so we offer flexible solutions for every type of family. As a highly-regarded, award-winning home loan provider, Mortgage House is with you every step of the way. When is the right time to think about buying a second home? For astute homeowners and investors, it’s always the right time to think about buying a second home. Deciding to act is another matter altogether. Becoming a second home buyer is a big step and you are not alone if you feel apprehensive about making the change. Home is where the heart is, and attachment to familiar surroundings is natural, but when rooms become too small, bathrooms too few and children more than enough, it’s probably time to consider buying a second home. The opposite is also true, and when children have left home, and no longer holds the same charm, it’s time to make choices. Household maintenance can become a burden, and cosy dwellings are desirable, so you may consider downsizing. Being a second home buyer doesn’t mean you need to expand, and a townhouse, unit or smaller house purchase can be an astute investment that also frees up money for leisure, pleasure, vacations and family. Mortgage House focuses on second home buyer mortgages with competitive rates and diverse products for every type of homeowner. We are proud of our level of customer service and our commitment to helping you make the best choices. With Mortgage House, you have our industry-leading reputation on your side, and the ability to find the best loan available at any time. At Mortgage House, we still believe in a fair deal, and that’s why we have become the favourite lender for a whole new generation of Australians.